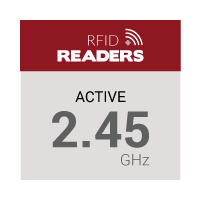 At GAO, we have RFID readers/writers in a broad range of frequencies including Active 2.45 GHz, Active 433 MHz, Ultra High Frequency (UHF 865-868 or 902-928), High Frequency (13.56 MHz), and Low Frequencies (125 kHz and 134 kHz). 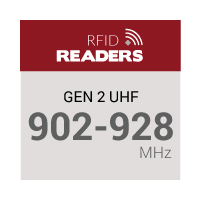 Whether you are looking to read RFID tags from long range, medium range or close proximity, our wide selection of RFID readers/writers can be configured to suit your needs, with many of them being backwards compatible and having the ability to also read barcodes. GAO’s RFID readers or interrogators comply with various international standards such as ISO and EPCGlobal Gen 2 and they are core components of many IoT (Internet of Things) projects. GAO RFID’s readers are popular for customers in every industry. 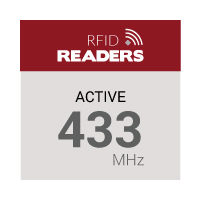 Mining operations, construction companies, and manufacturers may look to our Active 2.45 GHz and 433 MHz readers to track their high value assets due to their long reading ranges. 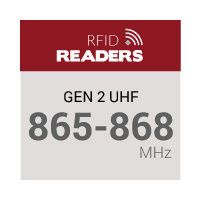 For tracking and monitoring inventory, supply chain and manufacturing customers may choose our UHF 865-868 or 902-928 RFID readers due to their reading speed, accuracy and low system cost. 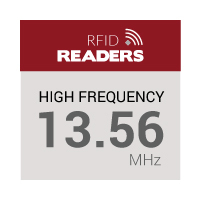 Other valuable assets such as gaming chips and library books can be tracked using High Frequency 13.56 MHz readers. And for monitoring items that are in liquid or metal based environments, the 125 kHz and 134 kHz Low Frequencies are the choice for many companies. 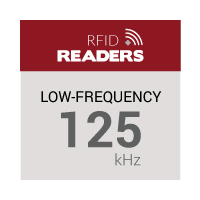 If you have any questions about the frequencies of any of our RFID readers and reader writers, one of our Experts will be more than happy to answer them. Contact us today!